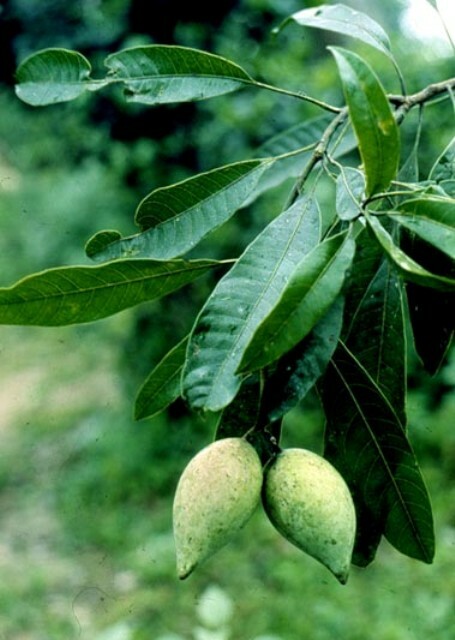 Ban aam, which literally means a wild mango, grows in Nepal, Sikkim and North East India at 300 to 1300 m asl. It is a tall evergreen tree, upto 45 m high. The bole is straight, 15 m long and upto 3.0 m in girth. 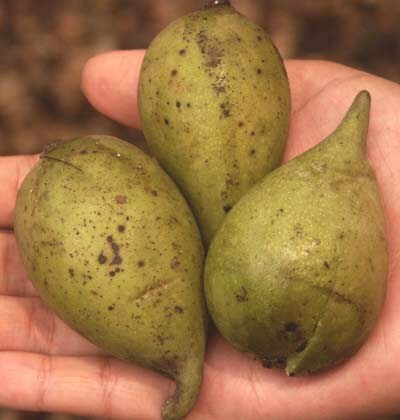 The fruits are ovate, elliptic, variable in size, 8-10 cm long. Flesh is is thgin, slimy and fibreless. Stones of ban aam are less furrowed than those of common mango. The unripe fruit is pleasantly aromatic and suitable for msking pickles and jelly. The ripe fruits are edible but not match common mango fruits in quality. The wood is of similar quality and grade as that of mango. 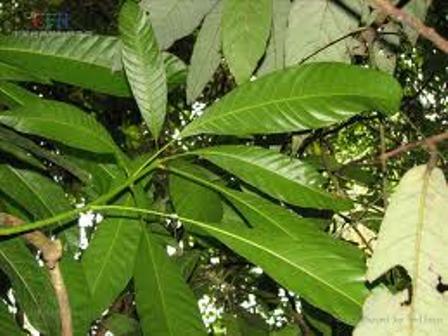 It is used like mango wood in trade and often mixed with mango wood. It yields strong and ornamental ply board. Ban aam is not cultivated as orchard or garden fruit.